Our first grade language games continue to build on early reading abilities while focusing on adding new concepts and skills. Children learn about opposites, compound words, nouns and verbs, contractions, alphabetical order and more. If you are looking for sight words, word families and resources for learning to read be sure to check out our Free Kindergarten Language Games Here. 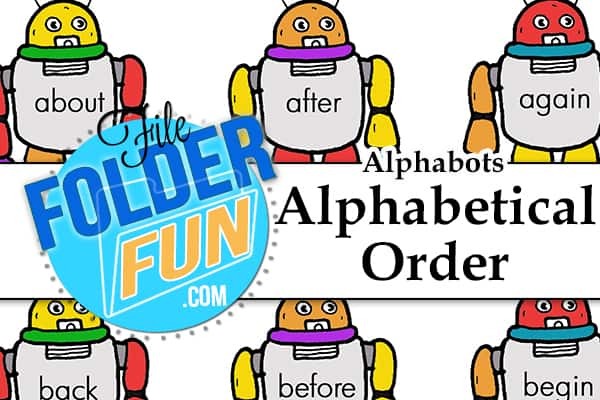 This is a game for children who are working on learning alphabetical order. There are over 70 robots, however we recommend starting out with small batches and slowly adding in more as children show mastery. The alphabet is listed at the bottom for reference. 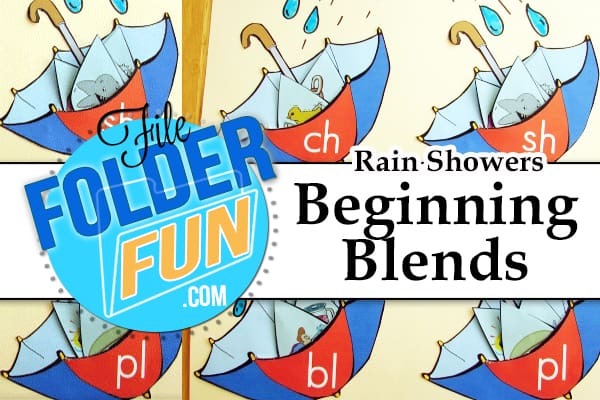 This is a simple game for children who are ready to identify beginning consonant blends. 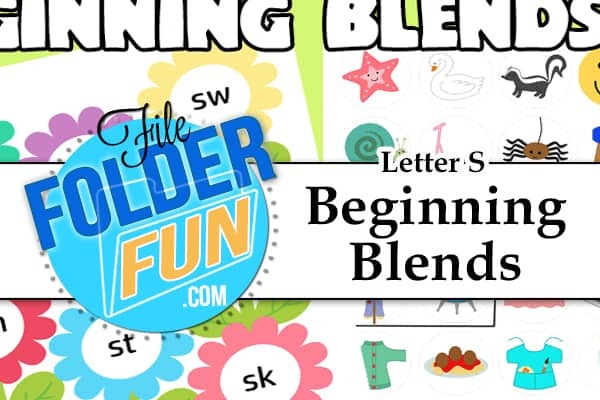 Featuring seven different letter s blends and 28 different s-blend pictures, children sort the pictures by carefully saying and listening to the beginning sound. Recommend for late KG, early 1st grades. 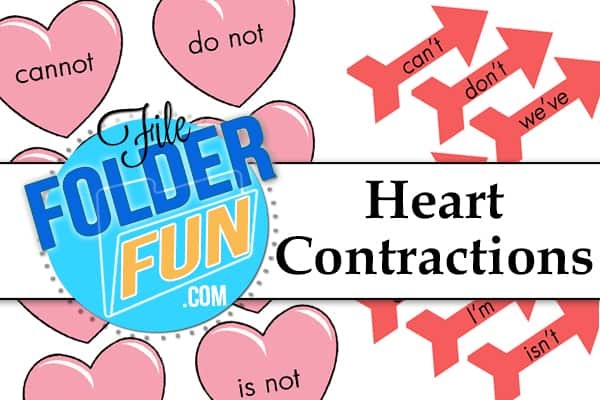 This is a contraction file folder game where children match the arrows to the correct word on the heart. 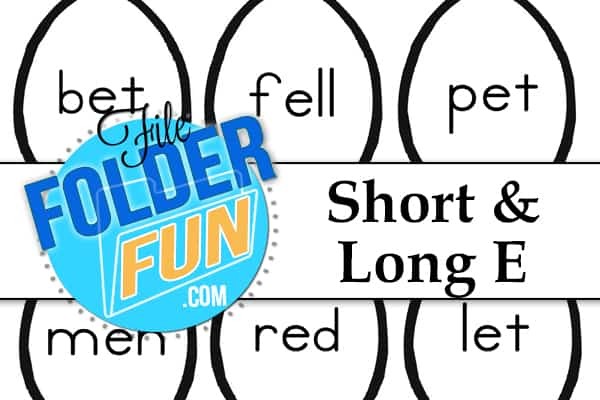 There are 16 different contractions with small visual (color) clues for beginners. This is a learning center for children workin on early reading and spelling skills. 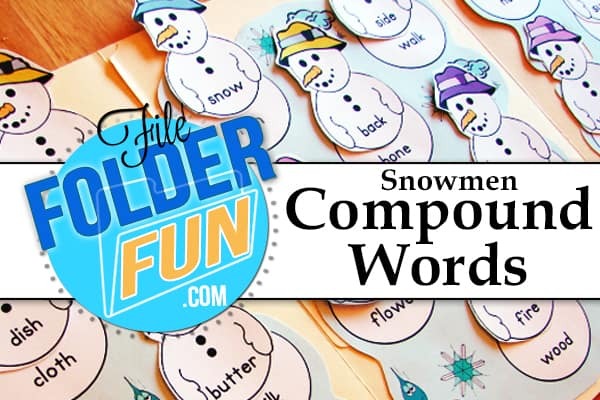 Children match the words on the tops of the snowmen to the bottom of their bodies to form a compound word. There are three sheets for this game so it best fits on two file folders. 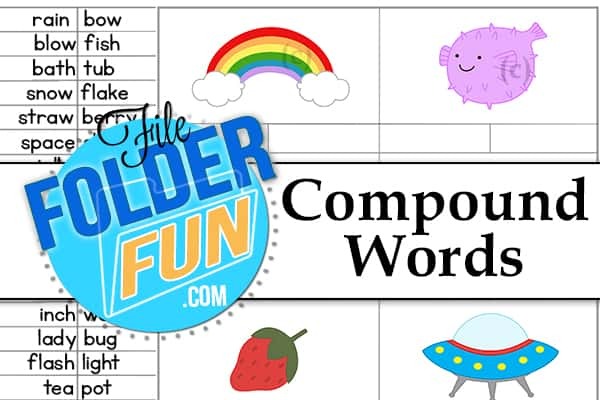 A simple matching game featuring 32 different compound words for children to create. This game can be played as a single or multiplayer game and includes follow up worksheets for children to to show mastery of combining words. This is a game for children learning to listen to the different sounds the letter “e” can make. Children read the words written across each egg, and decided if it makes a short-e or a long-e sound and place it into the correct basket.